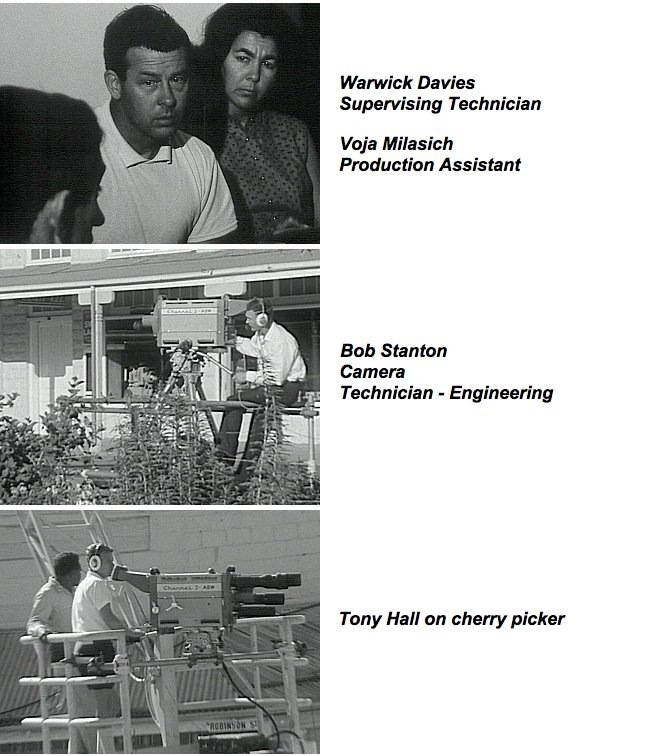 The historic first satellite telecast between Australia and England took place on Friday, November 25th, 1966. 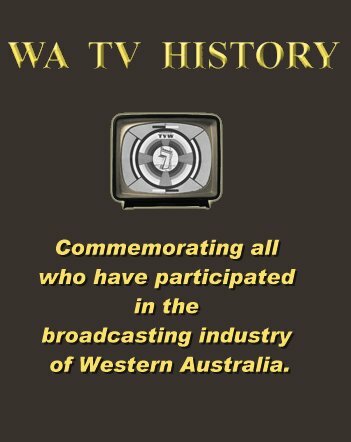 The ABC had a hook up with the BBC, whilst TVW Channel 7 hooked up with the UK commercial station ITN. This opportunity was part design and part accident as when the world’s second planned commercial communication satellite Intelsat II F-1 was launched October 26, 1966, it was supposed to go into a geosynchronous orbit, but the rocket engine employed to achieve this failed to do so. Its thrust terminated approximately 4 seconds after ignition, rather than the needed 16 seconds. The world’s first commercial communication satellite, called Intelsat I (nicknamed Early Bird), was launched into geosynchronous orbit above the Atlantic Ocean by a Delta D rocket on April 6, 1965, and was transmitting successful between America and England. Intelsat II (Early Bird 2) was designed to stay over the Pacific, which was hoped would give communications between Australia and North America. If plans had succeeded, the link with Britain could have been completed across America and via the Atlantic satellite. But instead the second satellite went into an elliptical orbit which shifted every few hours, continually changing the area of communications. Despite its non-synchronous orbit, the satellite was used briefly to transmit live television and other communications traffic. 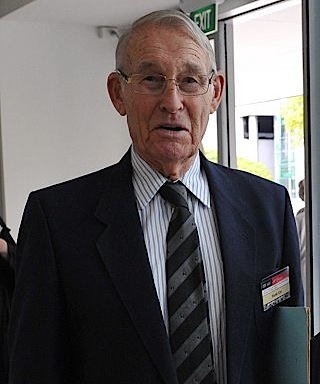 Before the satellite was out of range, an agreement was secured by Australia to allow television stations in Western Australia to use the doomed satellite for a direct broadcast to Britain, before it drifting away over the Indian Ocean. 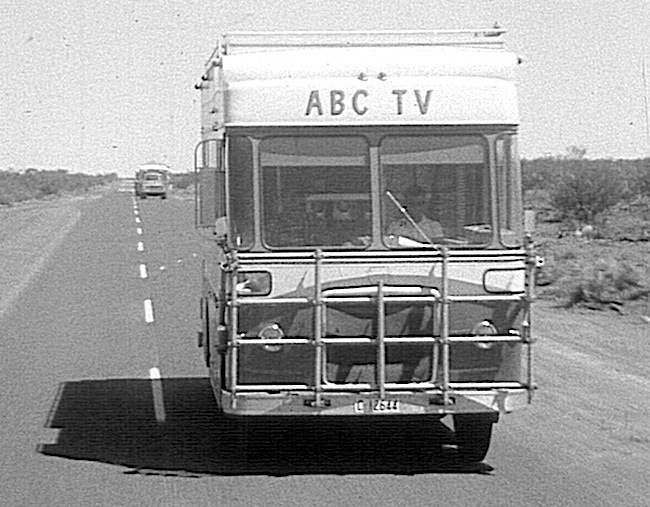 At short notice, a large contingent of ABC engineers and technicians with an EMI equipped Bedford outside broadcast van, link truck and support vehicles drove the 900km from ABW Channel 2 in Perth to Carnarvon. 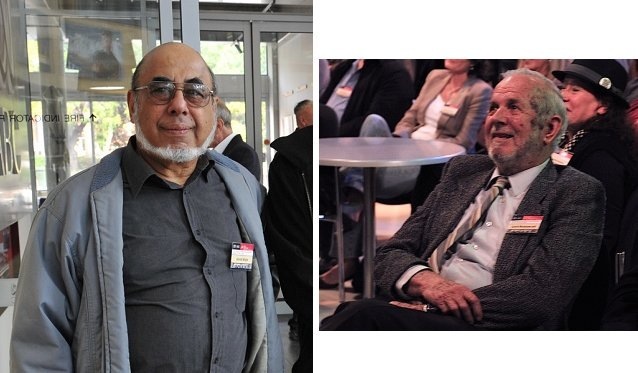 It was not only a pioneering event for technology, but also for the personnel involved. 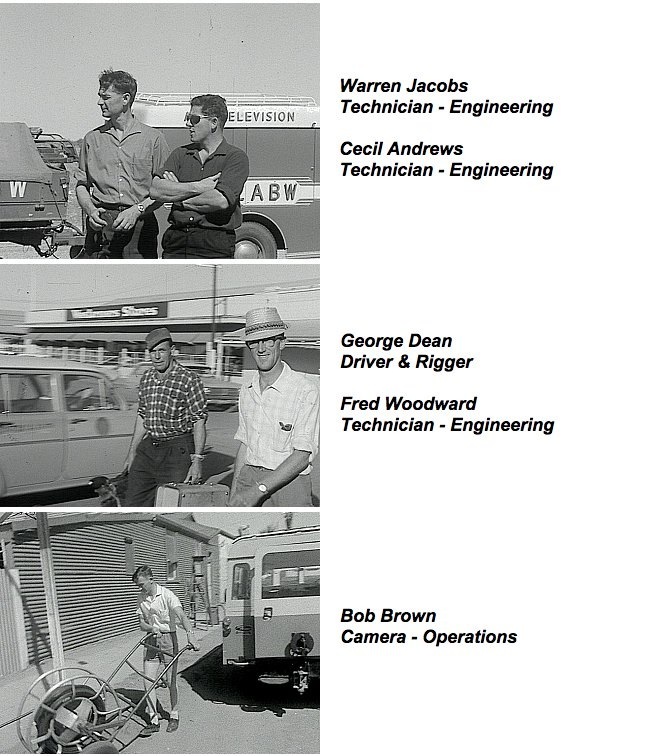 Many of the OB crew were also the technical staff who installed the facilities at ABW Channel 2 in Perth, prior to its opening on Saturday 7th May, 1960. 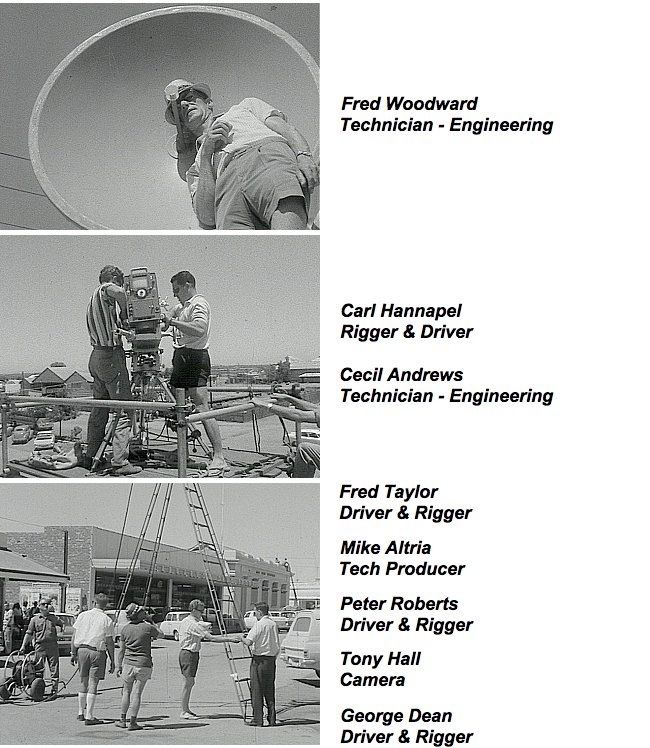 Engineering people such as Allan Hullett, Mike Altria, Warwick Davies, Cecil Andrews and Warren Jacobs. 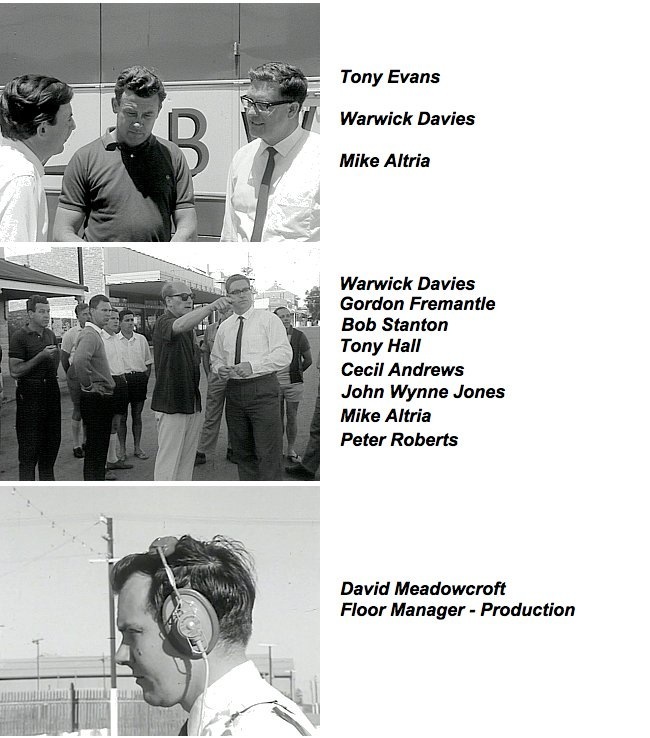 Added to this there were additional technical folk: Bob Brown, Gordon Fremantle, Tony Hall, David Meadowcroft, Ted Simmonds, Bob Stanton, Fred Woodward and Derrick Wright. 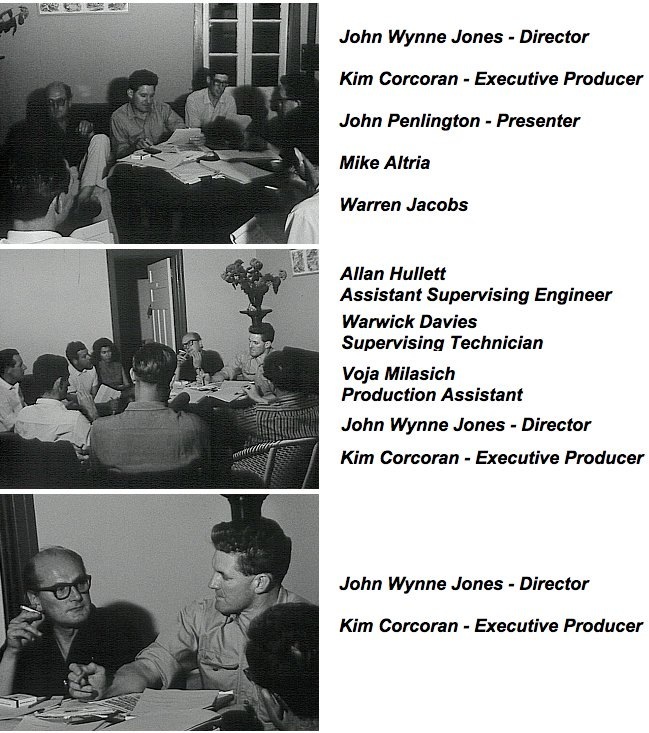 The production staff included Kim Corcoran (Presenter and Executive Producer), John Wynne Jones (Director), John Penlington (Interviewer), Dr Peter Pockley (ABC-TV Science Unit) and Voja Milasich (Production Assistant). The outside broadcast was in competent hands. We are fortunate that this content still exists so that we can pay tribute to the ABC’s professionalism, which extends back to those early days and give credit to the highly respected staff members who made it happen, of which most are no longer with us. Fortunately the survivors were able to tell their story so that we may commemorate the event. Derrick Wright and Warren Jacobs explained events leading up to this historic occasion. When it was thought that the satellite would obit above the pacific, the television signal from Australia would need to be in the American standard of NTSC 525 lines with a field rate of 60 hertz, as the signal would need to pass through America and then onto Early Bird 1 for transmission to Britain. But when Early Bird 2 went into an elliptical orbit, there was a window of opportunity to transmit direct to the UK using the PAL 625 line and 50 hertz field rate. It was Warren who configured the OB equipment back and forth in anticipation of this. The BBC had introduced the 625-line system in 1964. Earlier the BBC used a 405-line system, which was introduced in 1936 (it was considered “high definition” at the time, in relation to the crude Logie Baird 30-line and 240-line mechanical television systems that preceded it). Fortunately the Early Bird 2 satellite orbit predictions proved true and for up to twenty one minutes, there was a one-way television video and audio link, with return audio program and two way communications between Carnarvon and the Goonhilly Down Earth Station in the UK, which enabled content exchange with the BBC studios in London. 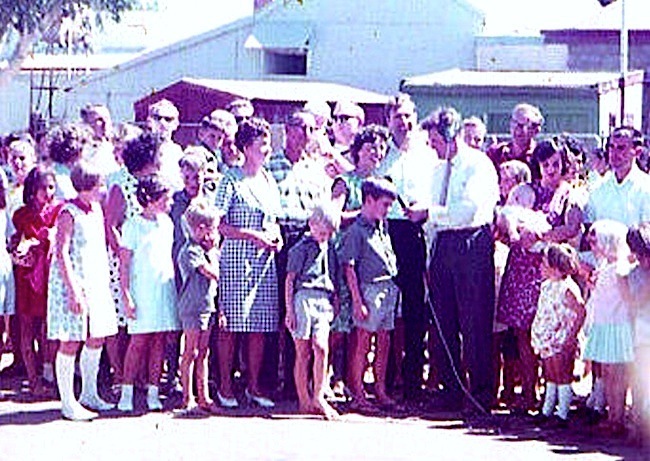 The highlight was a direct telecast between the ABC and BBC, which reunited British immigrants living in Carnarvon, WA, with their relatives who had been brought into the BBC studios in London. It was 2.25 pm in Carnarvon and 6.25 am in London. Of the British migrants who spoke to relatives, two worked at the tracking station. 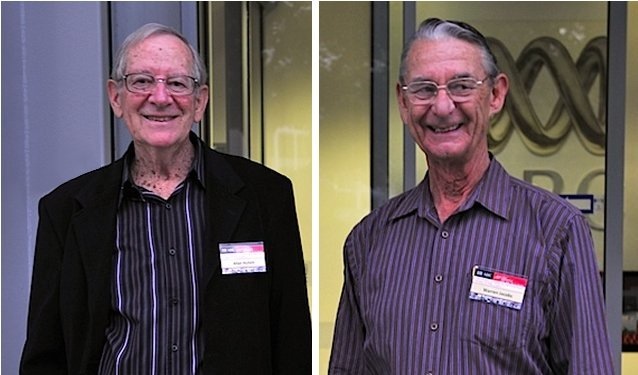 They were an engineer Alan Gilham and a technician Frank Vinton. 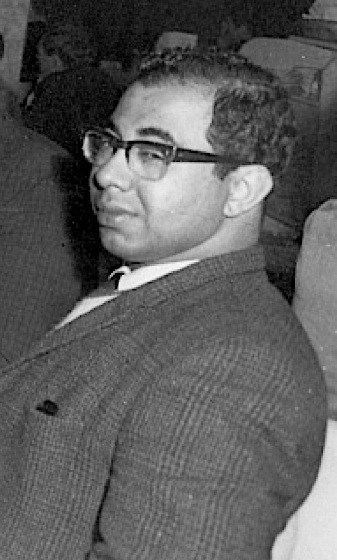 Both men were interviewed with their wives and children. Four months old Ian Vinton was held up to camera so that his relatives in London could see him for the very first time. Among them included both grandfathers, a grandmother and an aunt. Unfortunately, it was only possible for the London folk to view and hear their relatives in Australia, whereas the London families could only be heard and not seen here. 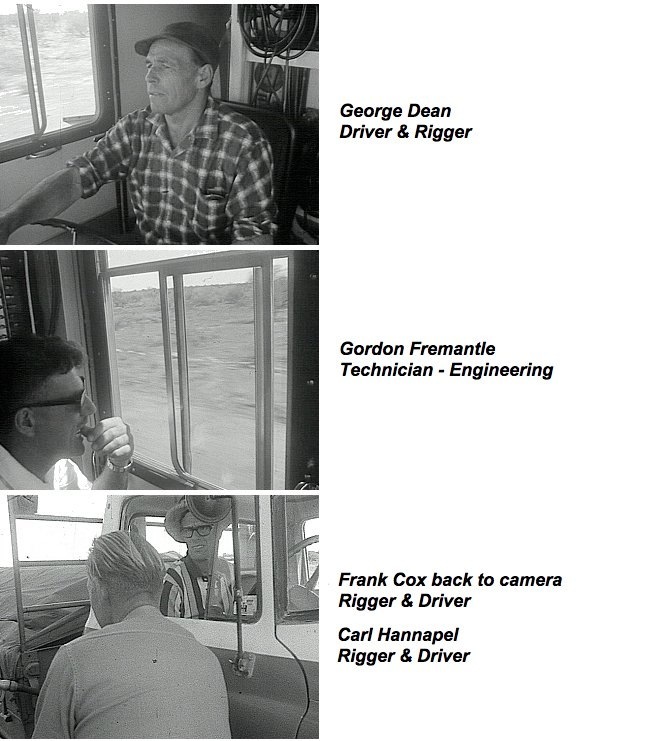 Though the picture link was only one way, a composite recording showing both sides of the conversation was jetted out to Australia for broadcast. Then it was time for a mother, aged 86, to be reunited with her son Les Brightwell, who was the owner of a prosperous business in town, Carnarvon Motors. 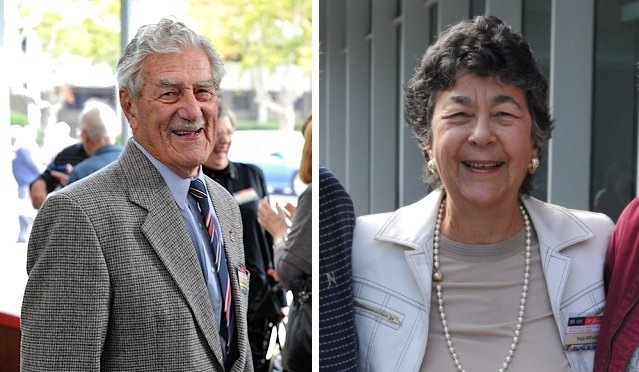 His aged mother also got to see and speak with his Australian wife, whom Les married ten years earlier. When Les Brightwell sailed from Britain in 1947, he did not get the opportunity to say goodbye to his mother, making this reunion particularly poignant. For up to twenty one minutes, a one-way television link was set up between Carnarvon and the Goonhilly Down Earth Station in the UK. 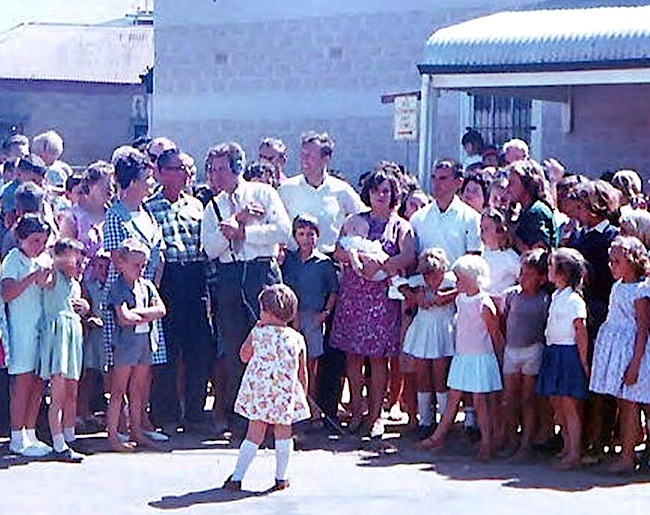 The highlight was a direct telecast between the ABC and BBC which reunited British immigrants living in Carnarvon with their relatives who had been brought into the BBC studios. Carnarvon is a coastal town situated approximately 900 kilometres north of Perth, Western Australia. It lies at the mouth of the Gascoyne River on the Indian Ocean and survives on agriculture, fishing, mining and tourism. Carnarvon is located in one of the few places on earth where a spacecraft from the Apollo mission could be tracked all the way from the earth to the moon. In 1964, the US National Aeronautics and Space Administration (NASA) set up a tracking station nearby to support the Gemini and Apollo space program which successfully landed the first men on the moon in July 1969. It replaced the Muchea Tracking Station, which had been used during the Mercury missions. The tracking station was closed in 1974. Only the foundations of what was an historical site remain. Some 5km north from the former NASA tracking station is the first earth station built in Australia by the Overseas Telecommunications Commission (OTC), located on Brown’s Range, a sandy ridge of 15-30m elevation close to and east of the Carnarvon township. It was established in 1966 to support the NASA Tracking Station and land cables connected the two stations together. In May 1973, the NASA and OTC facilities were involved in the launch of Skylab, the first US Earth-orbiting space laboratory, which orbited the Earth till 1979. On re-entry, the heaviest fragments of Skylab’s debris fell into the Indian Ocean, though a large amount of debris fell in a swath from the coastal town of Esperance to the Nullarbor Plain, beyond the community of Balladonia to Rawlinna, a railway siding on the Trans-Australian Railway. One of the pieces was a large cylindrical oxygen tank that burst on striking the ground, breaking into two fragments which bounced in different directions. The largest fragment, the main body of the tank, found its way into the special Skylab collection of the Esperance Museum. The smaller fragment, the end cap of the oxygen tank, remained undiscovered until the early 1990’s when it was found by a stockman. In a coincidence, the Miss Universe pageant was held a few days later, on 20 July 1979 in the Perth Entertainment Centre and a large piece of Skylab debris was displayed on the stage. 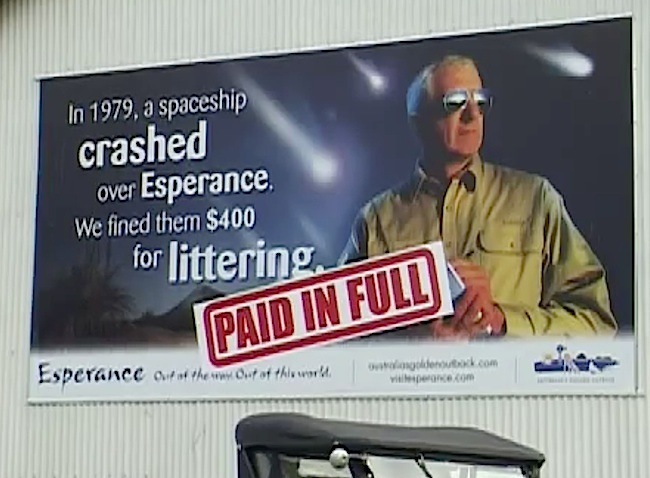 The Indian Ocean and the Shire of Esperance were the main recipients of the airborne wreckage, which came as a surprise for the residents, so a light-hearted $400 fine was imposed on NASA for littering, by the president of the local town council at the time, Mervin Andre. The tongue-firmly-in-cheek fine remained unpaid for 30 years, until April 2009, when US radio show host Scott Barley, of California-based Highway Radio raised the funds from his listeners to his breakfast program “Barker and Barley in the Morning”, and paid the fine on behalf of NASA. The US finally pays its overdue littering fine to the Shire of Esperance, Western Australia, after 30 years. The authorities in Esperance contacted Barley with an invitation to be the guest of honour at their 30th Anniversary celebration. 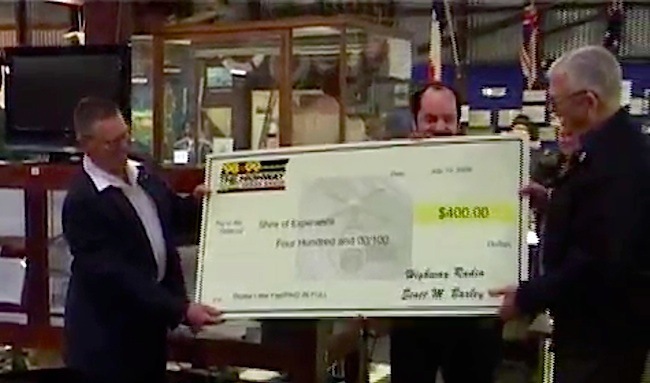 Not only did they fly him and his wife Down Under and pay all costs, but it was also arranged to have him present the $400 in the form of an oversized cheque. The OTC Satellite Earth Station at Carnarvon closed in 1987 in favour of a new earth station at Ceduna. A number of the historic Carnarvon OB team were at the ABW2 50th Reunion on Sunday 16th May 2010. Excellent as always Ken McKay. Only one nit-pick and that is the spelling of Gordon Freemantle (should be two e’s!). I’m looking for a good copy (if possible) of the “Down Under Comes Up Live” program and any other supporting programs which could be played in our new museum in Carnarvon. Buzz Aldrin will be opening it on June 22 & 23. Very interested in this article as I and my family took part in the broadcast. Surprised to see a number of my photographs and newspaper and magazine items included. I might be able to help Phil Youd with some good extracts from the whole programme if he cares to contact me. [Buzz Aldrin will visit WA in June 22nd and 23rd this year, to open the Carnarvon Space and Technology Museum, where Phil Youd is the president. 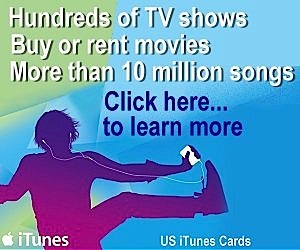 Is this just some uninformed PR hype ? Colin Mackellar of the Honeysuckle Creek Tracking Station web site at http://honeysucklecreek.net/ has kindly provided an answer to David S’s question. I guess what is *meant* is that Carnarvon was one of the few places where NASA had located a tracking station of the Manned Space Flight Network. Anyone with a view of the Moon could track it. – but mainly to be in a spot which would see an Apollo spacecraft on its first and second orbits (and maybe one or two more, depending on the launch azimuth from Kennedy Space Center). Carnarvon had a crucial role in checking all was OK with the spacecraft before the 3rd stage engine was re-lit for Trans Lunar Injection. This took place either over Central Australia (in which case Carnarvon, or an ARIA aircraft gave the go signal) or over the Pacific (in which case one of the tracking ships or ARIA would do it) depending on where the Moon was for a particular mission. After that problem, a trop scatter system was set up to link to Geraldton, but building the OTC station was the real solution! I should mention that I’ve also been working on the history of the Muchea Tracking Station, which was built specifically to support Mercury. I was delighted to be able to organise a message from John Glenn for the 50th anniversary a couple of months back. I have recently borrowed some Department of Supply footage from Tidbinbilla tracking station and am working through that. 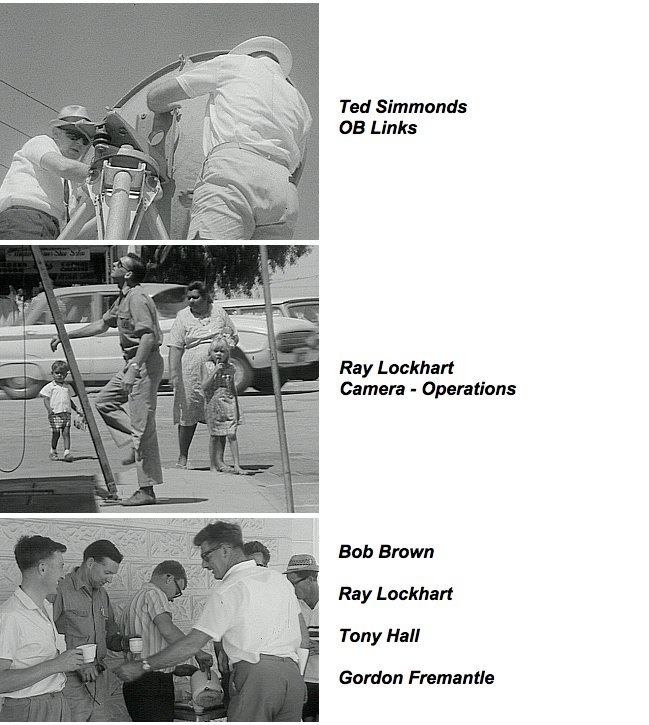 There’s some footage of Muchea (and Carnarvon too) – with a couple of brief shots of Perth in 1961. Hopefully I’ll have those together before too long. Footnote: Much appreciate Colin’s help on this matter.